A key ask that Azure Site Recovery (ASR) customers often have is the ability to exclude disks from replication, either to optimize the replication bandwidth consumed or to optimize the target-side resources utilized by such disks. ASR's VMware to Azure scenario has had this capability since earlier this year. 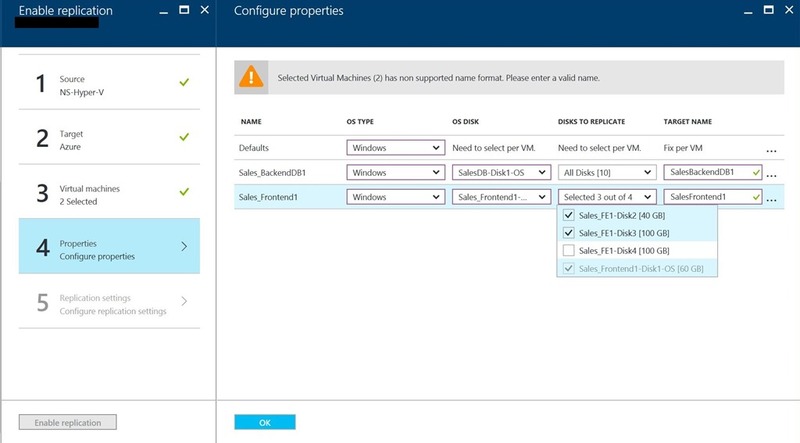 Today, we are announcing the availability of this feature for ASR's Hyper-V to Azure scenario as well. Why do customers exclude disks from replication? Let's elaborate on what data isn't “important”? The importance of replicated data is determined by its usefulness at the time of Failover. Data that is not replicated must also not be needed at the time of failover. The absence of this data should not impact the Recovery Point Objective (RPO) in any way. Excluding the tempdb disk from replication. How to Exclude disk from replication? Follow the normal Enable replication workflow to protect a VM from ASR portal. In the 4th step of Enable replication there is a new column named DISK TO REPLICATE to exclude disk from the replication. By default all the disks are selected for the replication. Unselect the VHD that you want to exclude from replication and complete the steps to enable the replication. Learn more about it in the Hyper-V to Azure(with VMM) or Hyper-V to Azure(no VMM) documentation. You can also view this video to see the feature in action. Let's consider the Hyper-V to Azure scenario for a SQL Server virtual machine that has a tempdb which can be excluded. Since Disk2 and Disk3 were excluded from SalesDB VM, E: is the first drive letter from the available list. Azure assigns E: to temporary storage volume. For all the replicated disks, drive letter remains the same. Disk3 which was SQL tempdb disk (tempdb folder path F:\MSSQL\Data\) and excluded from replication, the disk is not available on the failover VM. As a result, the SQL service is in stopped state and it needs the F:\MSSQL\Data path. There are two ways in which you can create this path. Note down the SQL tempdb.mdf and tempdb.ldf path before failover. From the Azure portal, add a new disk to the failover VM with the same or more size as that of source SQL tempdb disk (Disk3). Login to the Azure VM. From the disk management(diskmgmt.msc) console initialize and format the newly added disk. Assign the same drive letter that was used by SQL tempdb disk (F:). Create tempdb folder on F: volume (F:\MSSQL\Data). Start SQL service from service console. 4. Stop Microsoft SQL server service. 5. Start Microsoft SQL server service. Now let's understand what all disks will be replicated when you do failover from Azure to your on-premises Hyper-V host. Disks that you create manually in Azure will be not be replicated. For example, if you fail over three disks and create two directly in Azure VM, only three disks which were failed over will be failed back. You can't include disks created manually in failback or in re-protect from on-premises to Azure. 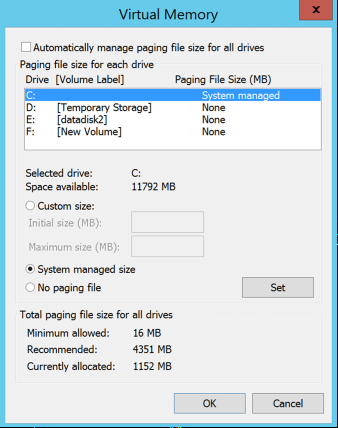 It also does not replicate temporary storage disk to on-premises. When failback is done to the original location, failback VM disk configuration remains the same as that of original VM disk configuration. 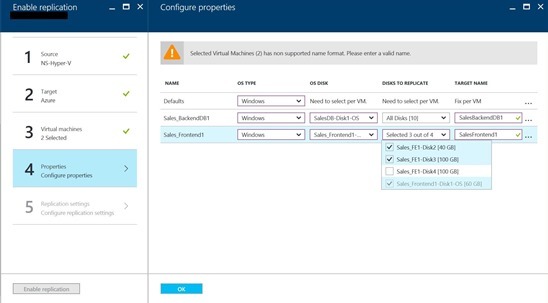 That means the disks which were excluded from Hyper-V site to Azure, will be available on the failback VM. Let's consider the Hyper-V to Azure scenario for a virtual machine which has a pagefile disk that can be excluded. Since Disk1 (D:) was excluded, D: is the first drive letter from the available list, Azure assigns D: letter to temporary storage volume. 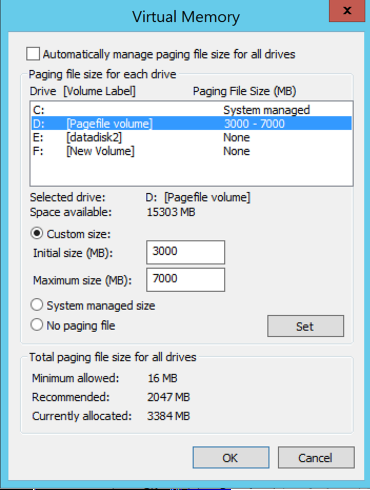 Since D: is available on the Azure VM, pagefile setting of the VM remains the same. 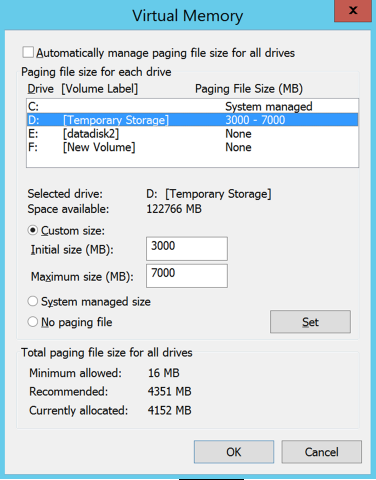 Since D: is the first drive letter available from the list, Azure assigns D: to temporary storage volume. For all the replicated disks, drive letter remains the same. 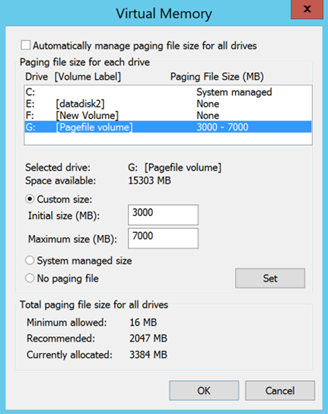 Since G: disk is not available system will use C: drive for pagefile. You can check out additional product information, and start replicating your workloads to Microsoft Azure using Azure Site Recovery today. You can use the powerful replication capabilities of Site Recovery for 31 days at no charge for every new physical server or virtual machine that you replicate. Visit the Azure Site Recovery forum on MSDN for additional information and to engage with other customers, or use the ASR User Voice to let us know what features you want us to enable next.